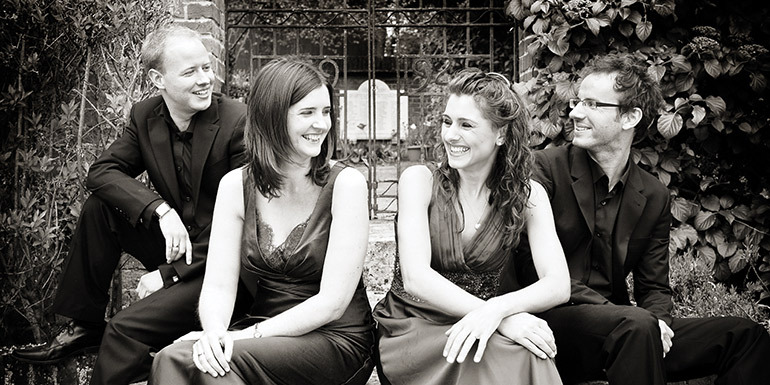 The versatile and award-winning Anglo-Irish Carducci Quartet was founded in 1997 and has won numerous international competitions, including the Concert Artists Guild Competition 2007 and Finland’s Kuhmo International Chamber Music Competition 2004. Their Naxos recordings of Philip Glass’ Quartets have had over six million plays on Spotify and they will play his popular third quartet in this programme alongside two classical masterpieces – Beethoven’s early, stormy, C minor quartet, and Mendelssohn’s late, tragic, F minor quartet. Donnacha Dennehy’s intriguing ‘Pushpulling’ from 2007 completes a compelling programme.